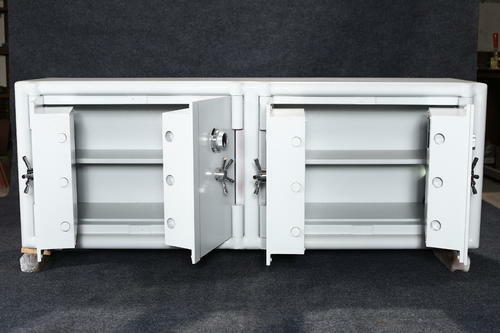 We are a trustyworthy organization offering a wide a gamut of Counter Safes. We “Steel Safe Industries”, take this opportunity to introduce ourselves as one of the leading Manufacturers, Traders and Suppliers of "Suraxa and Steel Safe", Fire and Burglar Resistant Safe, Vault Strong Room Door, Safe Deposit Locker Cabinet, Air Ventilator, Step Ladder, Movable Inspection Table, Safe Deposit Locker and Steel Sleeper. All these products are being made & supplied strictly as per their respective IS specifications. These products are manufactured by our experts, efficiently utilizing the best quality factor inputs with the help of advanced manufacturing techniques. We provide this range to our clients at the most reasonable price.